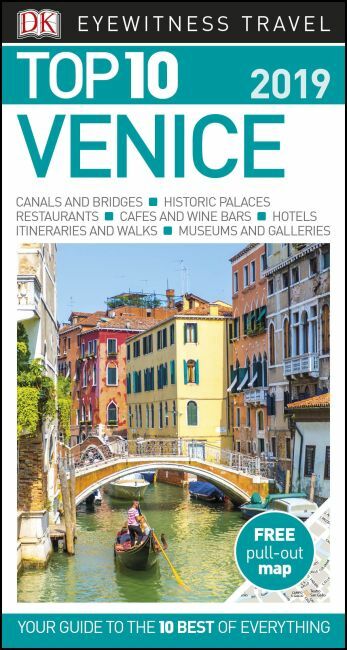 An unbeatable, pocket-sized guide to Venice, packed with insider tips and ideas, colour maps, top 10 lists, and a laminated pull-out map - all designed to help you see the very best of Venice. Take a Venice walking tour, see remarkable works of art at the Accademia Galleries, ride in a gondola down the Grand Canal, or marvel at the splendour of the Doge's Palace and Piazza San Marco. From Top 10 Venice palaces to Top 10 things to do for free - discover the best of Venice with this easy-to-use travel guide. Staying for longer and looking for a more comprehensive guide? Try our DK Eyewitness Travel Guide Venice and the Veneto or our DK Eyewitness Travel Guide Italy.